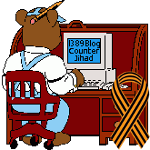 Australia — 1389 Blog - Counterjihad! in 1389 (blog admin), Australia, Islamic State (of Iraq and ash-Sham/Levant/ISIS/ISIL/Daesh), UK, WTF? Teaching jihad is OK in Australia – saving babies, not so much!